Jeff, a Beloit, Kansas native, relocated to Manhattan in 2006. 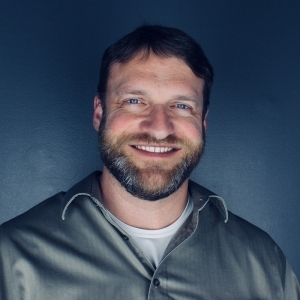 He began his career as a Networking Systems Analyst with Morgan Keegan and then K-State before founding JNT Company as a side project in February 2008. By September 2009, JNT Company became Jeff’s full-time focus. Although JNT Company began as simple online solutions provider focusing on website design and custom application development, it quickly grew and expanded into other areas due to the tireless work ethic and commitment to innovation of Jeff and his carefully assembled team. Jeff now helms an ever-growing team of talented and passionate individuals who share his vision and continue to work diligently to ensure the continued success of JNT Company, whose services now include brand identity and social media, copywriting, print design, e-commerce, video production and advertising, SEO, and mobile application development. In his free time, Jeff enjoys to playing the piano and guitar, as well as spending time with his wife, Tara, and their two kids.